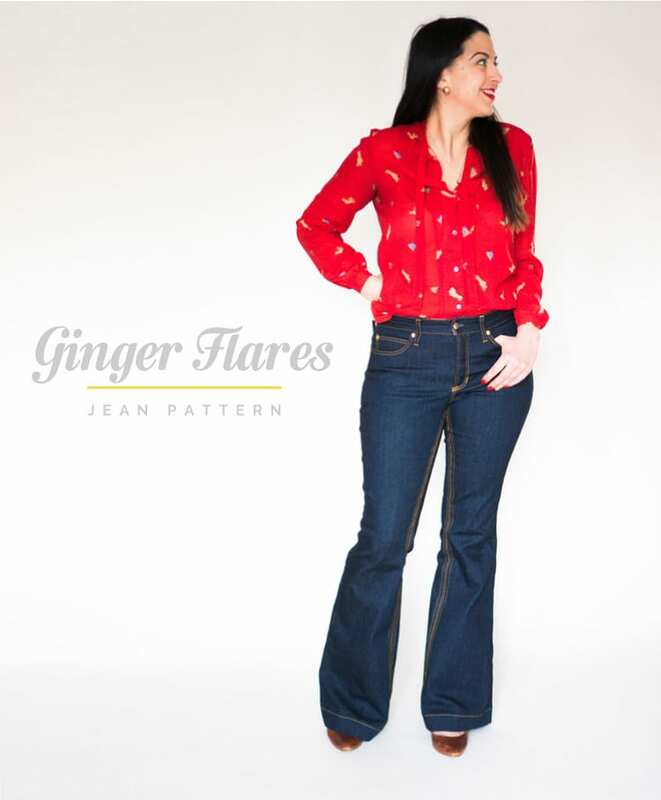 I‘m jumpstarting 2016 with a little mini pattern release; say hi to the Ginger Flares! 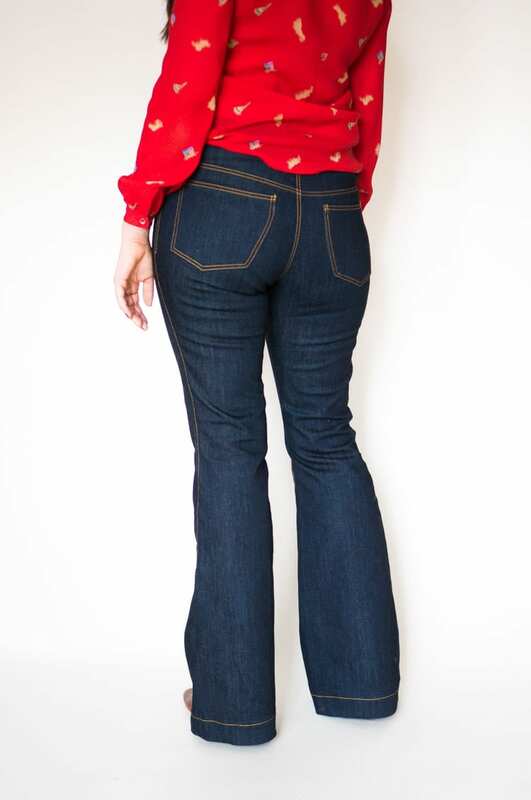 As I mentioned yesterday, I drafted a flared leg option for the Ginger Jeans after a number of requests. 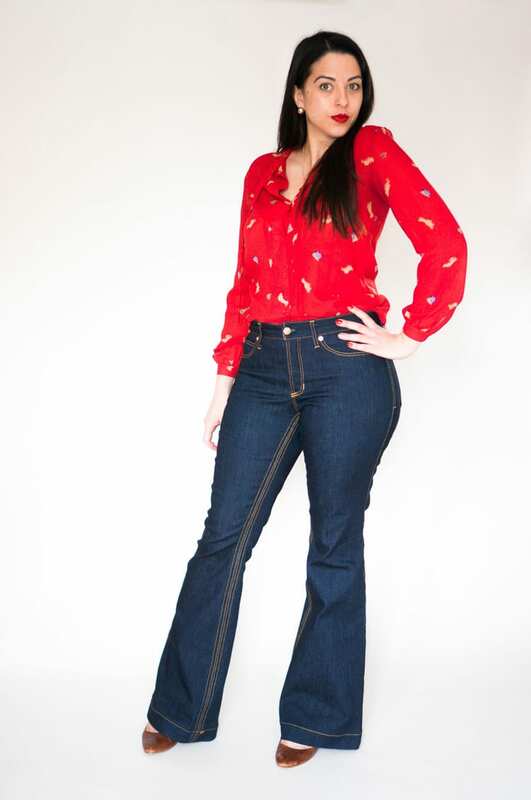 With this expansion, you can use the Ginger Jeans pattern to make your own flares; simply print out the newly drafted legs (available in high and low waisted versions) and use with the rest of the Ginger pattern pieces to make your jeans. 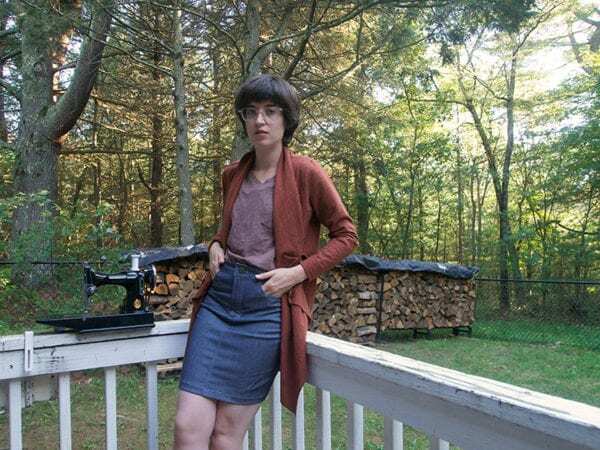 The expansion does not include the instructions or pieces like the waistband, yoke or pockets, so if you haven’t already purchased Ginger, you’ll have to do so. Please note that this expansion is a digital download only, although I may make it available in paper format when it’s time to reprint. 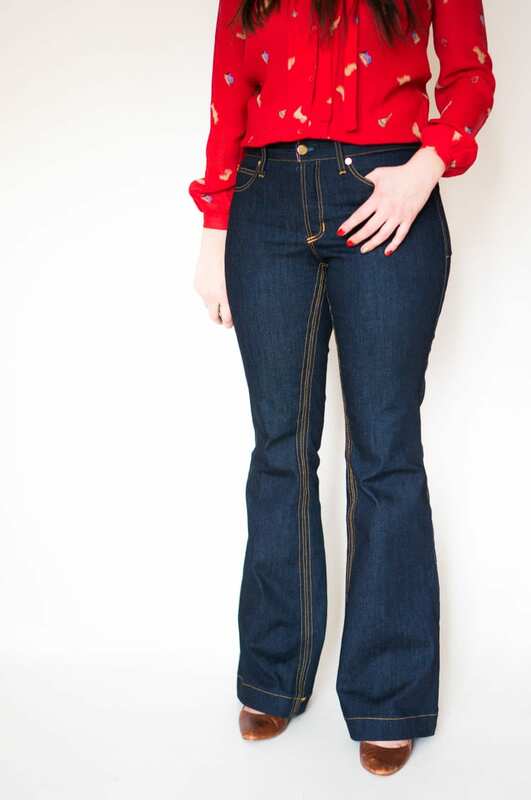 I love the lengthening effect flares have on your legs, so I’ve drafted these extra long. The inseam is 34.5″, which means that I have to wear them with heels (I’m 5′-6″, fyi). I also drafted an extra wide hem. I think they look a little more chic and trouser like with a wider band at the bottom. If you need to shorten them, remember to do it at the knee so you don’t reduce the radius of the flare. These Gingers are more of a mid-rise; stay tuned for a tutorial next week if you’d like something in between the low and high. The pattern itself comes in a print at home or copyshop file, along with a read-me file that includes the adjusted fabric calculations. 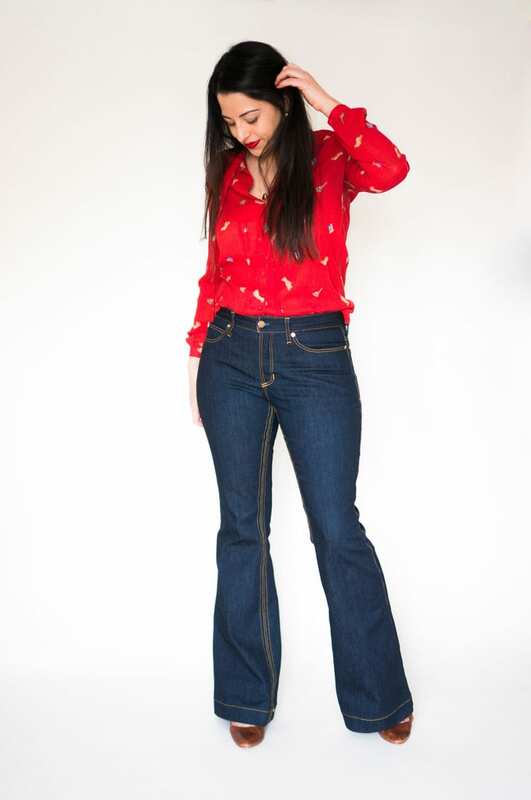 Hope you enjoy getting your flares on! The Ginger Flares are currently available in the shop! ps. 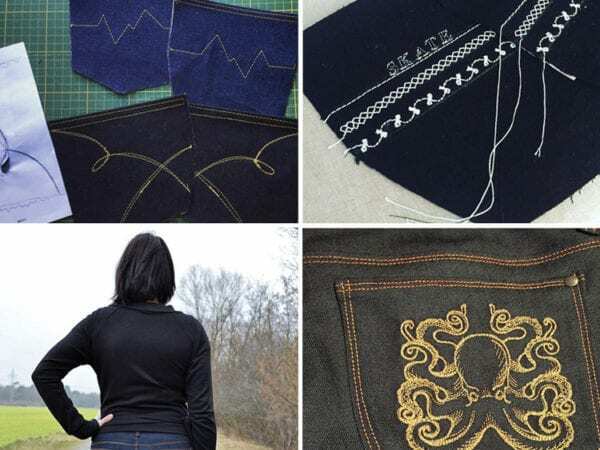 I just installed a new plugin in the shop that lets me offer bundle discounts, so the Sewing Your Own Jeans ebook is 25% off when paired with any Ginger Jeans product, just in case you wanted some extra help. The discount is applied once they’ve been added to your cart. It’s being a little buggy at the moment so let me know if you can’t get it to work!